Magic is the perfect ice-breaker! 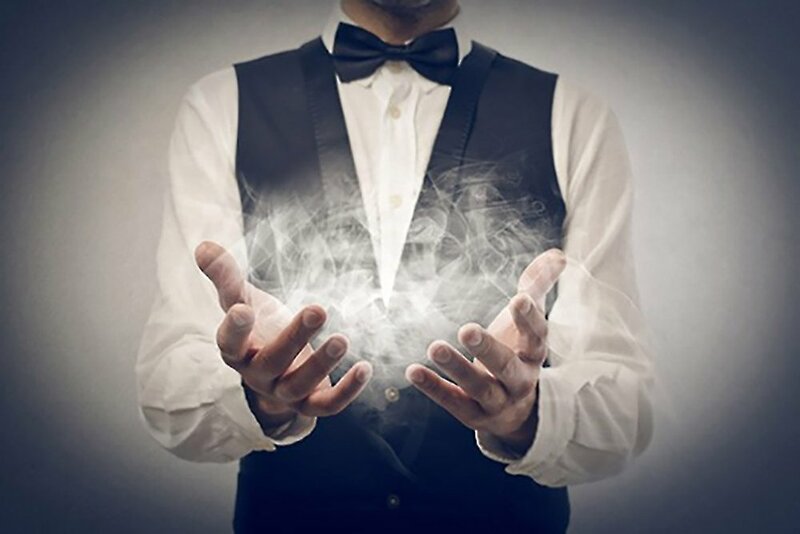 Hire a magician to provide unique entertainment at product launches, blue chip hospitality events, gala dinners or awards shows; or create a unique buzz and build a crowd at your booth at trade shows or product launches. Start your next event with a BANG! Imagine your CEO or keynote speaker appearing on stage in a flash. Or perhaps you're looking for a training message to be delivered in a unique style. Then Tom can help! Whether it's for performing close-up magic during a reception or dinner or providing after-dinner entertainment live on stage, Tom has experience performing and hosting events around the world. Build a crowd & make sure they remember your brand! A magician on your trade show booth will engage guests who may not otherwise stop. Plus Tom can build in your corporate message into the illusions! Discover a unique way to present your branded merchandise. Or just create a moment of magic that will make potential clients remember you above anyone else. Produce your new product in fire. Make it float. Transform it from one to another. Tom will create bespoke illusions to make sure your product launch is as magical and memorable as it deserves. Create stunning photographic and video content to kick start your press and promotions for celebrities and influencers and the press.